The reciprocating engine teardown trainer may be configured with a wide variety of Lycoming or continental engines. The teardown engine allows students to gain hands-on experience with the disassembly/reassembly of an aircraft reciprocating engine. The practical	assignments on teardown engine provide a good understanding of engine construction and its operation. This trainer is an essential item in any AMT powerplant training program. 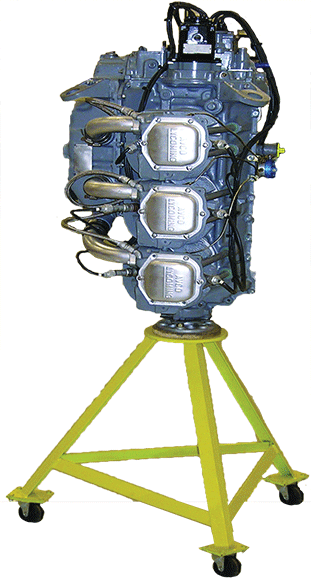 The engine is mounted on a standard engine overhaul work stand that is fitted with four caster wheels with brakes. The engine is provided with magnetos and ignition harness. A set of engine tools is also included. Note: Letter ‘X’ denotes make of the engine; C (for Continental) or L (for Lycoming).